you need to take the next step in your Digital Transformation. Unifying their business applications across marketing, sales, service, operations, finance, talent, and retail into a comprehensive family of capabilities that spans the entire business process landscape – so users can solve specific business problems with applications that work seamlessly together. Ensuring synergistic benefit from the other Microsoft investments companies are making by enriching Dynamics 365 with deeper integrations with Microsoft Outlook, Teams, SharePoint, Stream, Azure, and LinkedIn. Microsoft has enhanced Dynamics 365 with data and signal from Office 365 and Bing. As well as making Dynamics 365 more intelligent by employing decades of AI work pioneered by Microsoft Research. Advancing the platform beneath Dynamics 365 – the same platform beneath Office 365 – to combine Power BI, PowerApps, Microsoft Flow, Microsoft Stream, the Common Data Service for Apps, and the Common Data Service for Analytics into an unmatched palette of tools to extend, customize, and integrate Dynamics 365 and Office 365 into your environment. These experiences are powered by insights and intelligence from data across hundreds of business systems with built-in connectivity to the platform, and with rich audio-visual media that integrates tightly into the business applications, people use daily. Microsoft has done this work to help customers, and users – drive the digital transformation of their business on their terms. Download the Dynamics 365 Enterprise Edition SPRING 2018 Release Notes to discover all the benefits of this tremendous platform. We are thrilled to announce the Dynamics 365 Enterprise Edition Spring ’18 release notes, which delivers significant investments designed to help companies to transform their business. 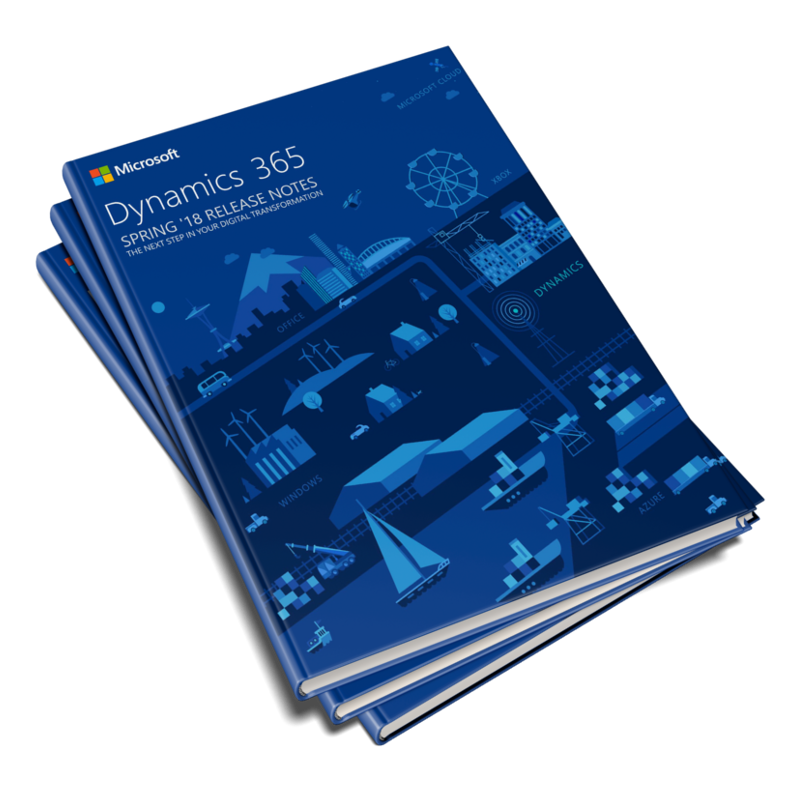 Download your copy to learn more about Dynamics 365 Enterprise Ed.